Our hero of the month is not presented by us this time, but instead by DIY and lifestyle blogger Sarah Halbeisen. She tested the LED Camping Light and, without giving away too much, we can reveal that she was quite impressed. There was one feature in particular that she didn’t expect from our LED Outdoor Lamp … but you’d better read about that for yourself! Anyone who goes camping knows that having the right equipment is the most important thing. It should be functional, but light to carry and easy to use. 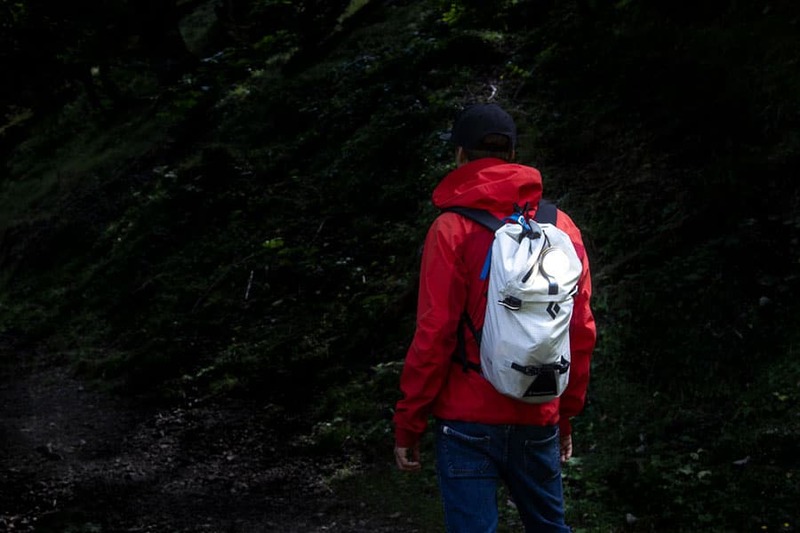 Often, you surf through several pages online, inform yourself thoroughly in advance and extensively test the equipment before setting off on a camping trip, as once you’re out there in the great outdoors or at the campsite, it can be difficult to exchange the equipment. It starts with the tent and sleeping bag, but it does not stop there by a long shot. One challenge, however, that campers always have to battle against is having the right light. On the one hand, I need a torch to light things selectively, like things in the distance or when I’m walking somewhere for example (in particular, when you need to find the toilets during the night), but on the other hand it’s also handy to have mood lighting to illuminate the tent or the cooking area. Until now I always used two separate lights for these two purposes. With limited success: with the headlamp the batteries ran out quite often and my larger lamp blinds if you look into it from above. And just try to avoid looking into a light when it’s sitting on the floor! 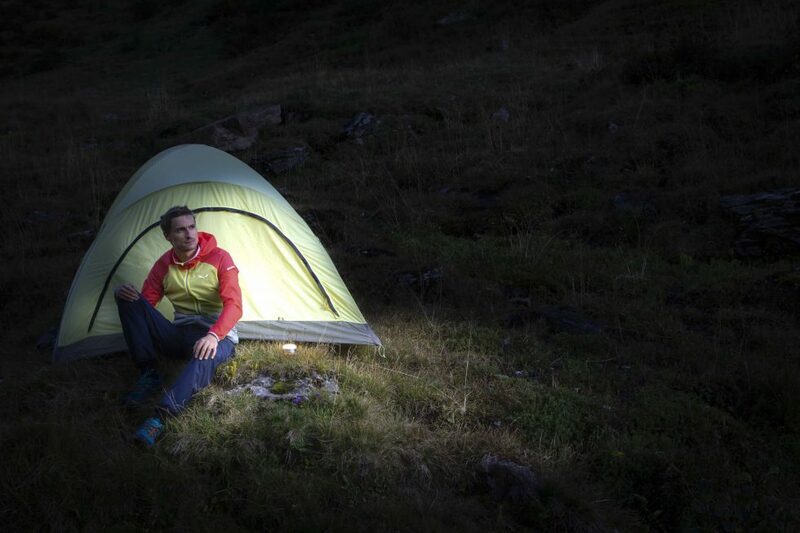 Until now, having the right light was an unsolved problem for each camping trip. Until now, because now I have discovered the LED Camping Light from brennenstuhl. It provides solutions for all of these problems and even more. But first things first. When you hold the light in your hand, you can feel just how light it is. That’s a massive plus when you first have to carry your camping equipment up a mountain or to the next campsite. In addition, the light can be used both as a torch with a focused beam of light and as an area light – in both modes the lamp is continuously dimmable. An extra advantage, if you prefer to sit outside the tent and spend a romantic evening enjoying the view and the stars, without having to sit in total darkness. 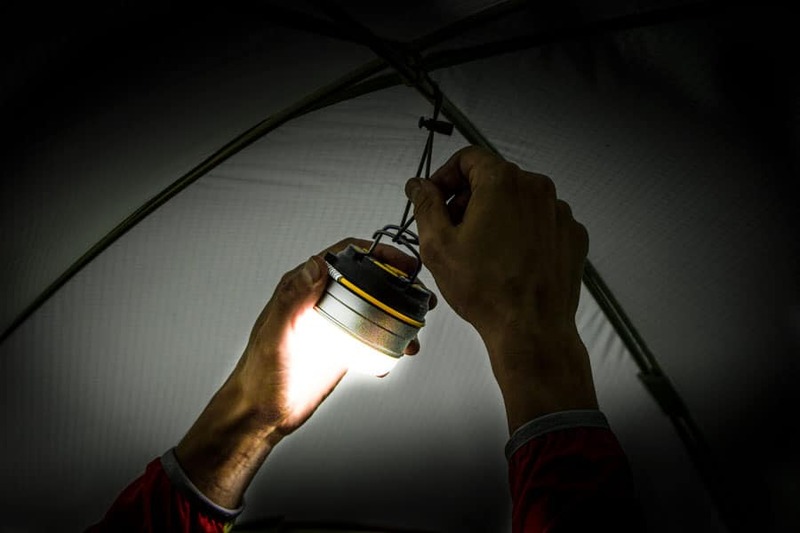 The lamp can easily be placed either on the floor, or it can be hung inside the tent or from a tree with the metal hook on the reverse side. It can even be attached to metal surfaces, such as a car or the body of a motorhome, with the magnets. That way, you can keep your hands free so that you can get on with work or cuddle up with your partner. If you’re still not as convinced as I am, then let me tell you about the battery power of this little lighting miracle: according to the specifications, the lamp can work for 70 hours. As of yet, I still haven’t reached its limits. However, should I ever reach this, I can simply recharge the lamp with the integrated USB cable. 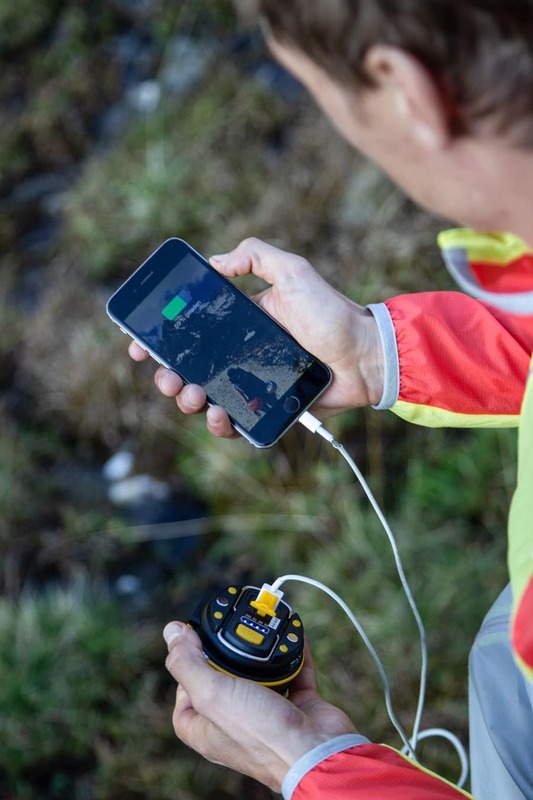 Each time the lamp is turned on with the button on the back, a display lights up and shows the battery level: from 100%, for fully loaded, down to 25% in four increments. Thus, you don’t run the risk of getting an unpleasant surprise when the lamp just stops working at a particular moment. Where the brennenstuhl LED Lamp really won me over was with an additional feature that I really didn’t expect from a light: the little contraption is also a powerbank! Now, it’s no longer a problem if I want to use the battery-sucking camera application on my smartphone. The smartphone charging cable can simply be plugged into the correct USB port in the back of the light and I can charge my phone again right away! I can’t wait for the next camping trip! 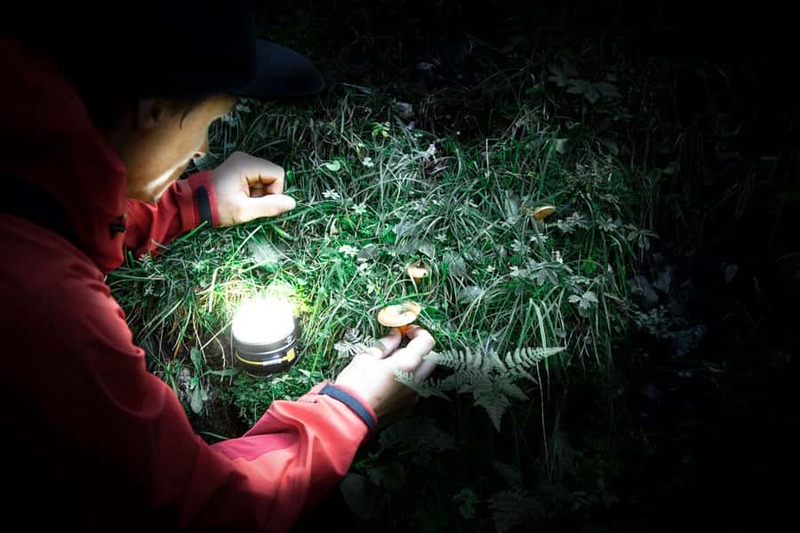 Until then I’ll take the LED Outdoor Lamp with me every time I go for a walk – it already proved itself useful when I went foraging for mushrooms. I don’t want to be without the small marvel anymore!